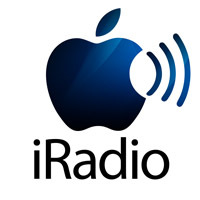 Apple to put Sirius XM out of business? Apple is hoping to make its iOS products more attractive to drivers. The tech giant introduced CarPlay this morning. CarPlay makes it easier for drivers to engage with their iPhones without having to take their eyes off the road. They can make phone calls, check voice mails, and pull up directions by simply pressing a steering wheel button and calling up Apple’s voice-recognizing Siri. It will be available this week for Mercedes-Benz, Volvo, and Ferrari drivers, but more than a dozen other car giants are already on board to roll it out soon. How does this potentially trip up Pandora or Sirius XM? Well, naturally, CarPlay also makes it seamlessly easy to use an iPhone’s flash memory or mobile connection for audio entertainment on the open road. “CarPlay gives drivers access to all of their music, podcasts, audiobooks and iTunes Radio with easy navigation through listening choices from the car’s built-in controls or simply by asking Siri to pull up what you’d like to hear,” Apple’s press release explains. Sirius XM also can’t ignore CarPlay. It’s in the car, and that’s where the satellite radio monopoly is primarily used by most subscribers. Apple also makes it a point to emphasize the ability to stream podcasts, audiobooks, and sports broadcast apps. In other words, it’s not just a music play. CarPlay wants to turn your iPhone into your radio and that could weigh on Sirius XM as well as terrestrial radio. As great as Sirius XM is, it has increased its rates twice over the past three years despite programming costs per subscriber declining in that time. It may be susceptible to free or nearly free entertainment options that are just as easy to experience.